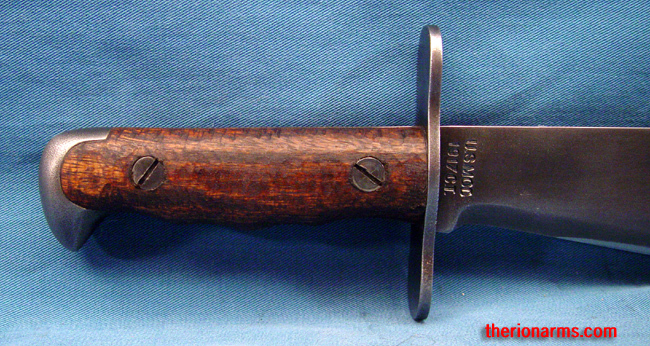 grip and pommel: 4 5/8"
The US military issued wide-bladed bolo knives from 1897 to 1918. 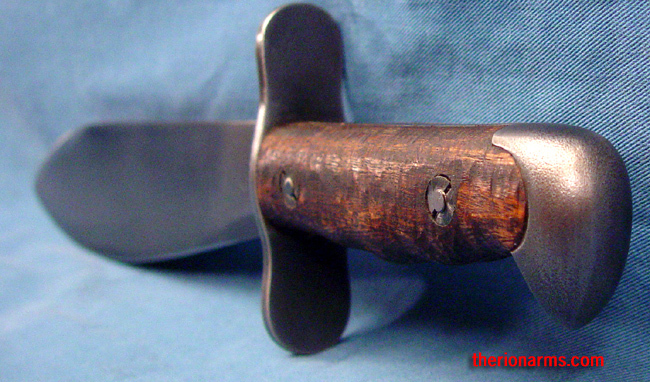 This reproduction of a 1917 version features a sharp, heavy duty high carbon steel blade that has been heat treated in a computer controlled kiln, and blackened so as to not reflect light in a delicate situation. The full tang is integral with the pommel and the dark close-grained wood grips are secured with two large bolts. 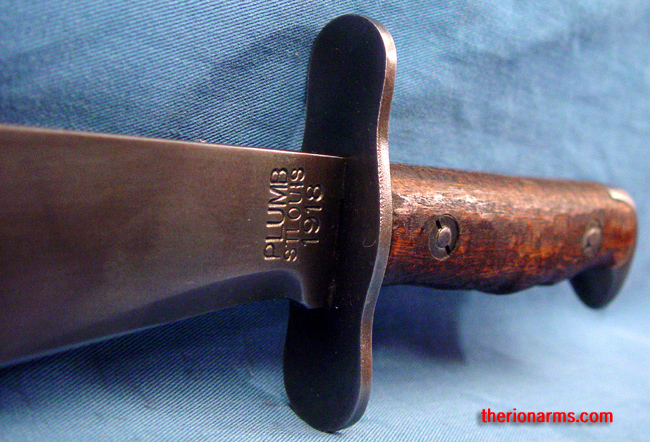 The right side of the blade base is stamped "US MOD 1917 CT" and the left is stamped "PLUMB STLOUIS 1918". 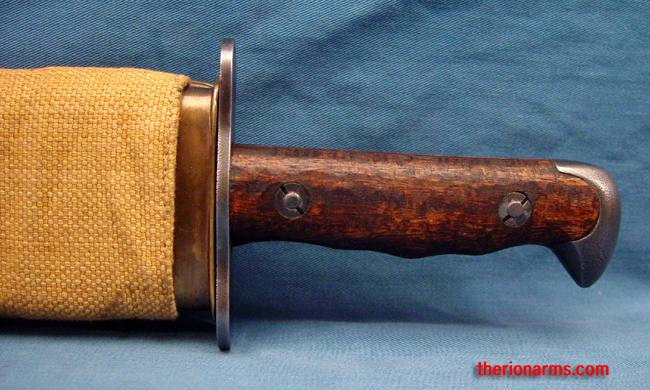 Indluded ia a No 1 style scabbard with a 1918 dated maker's stamp on the leather tip; covered in heavy canvas with a brass throat and a brass belt hanger for use on standard web belts. An impressively accurate reproduction!